Severe thunderstorms expected today with our main threat of damaging straight line winds of 50-70 mph. A wind advisory has been issued. In addition to damaging wind, lightning, isolated tornadoes are possible. 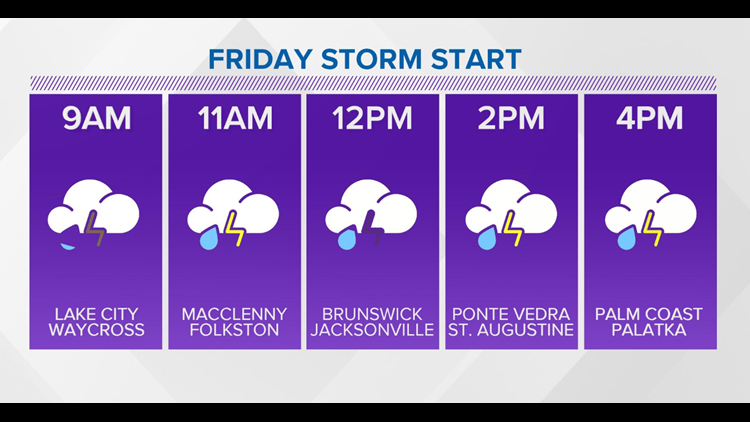 Timing for Jacksonville peaks between 1 p.m. and 4 p.m. Storms should clear Palm Coast by 6 p.m.
A tornado warning has been issued for Camden County Georgia and Nassau County in Florida. FRIDAY: A squall line of thunderstorms moves west to east with our main threats of damaging straight line winds of 50-70 mph and lightning. We cannot rule out an isolated tornado. Wind damage will be our biggest concern with gusts to 50-60+ mph. This stormy system will take up much of the country east of Mississippi, so expect travel delays. 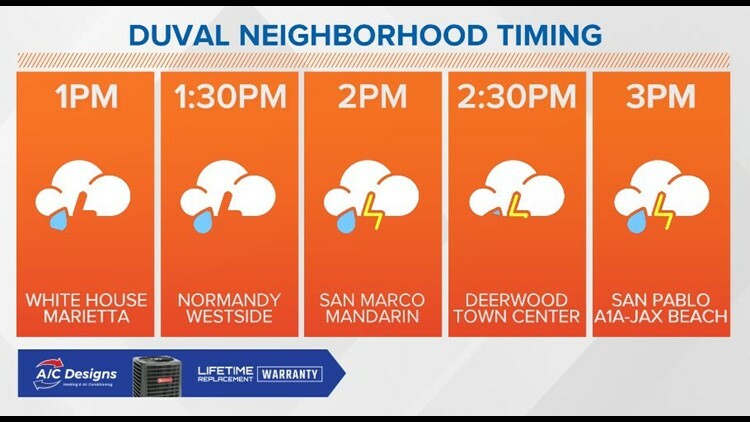 Here's what time you can expect severe weather activity in your area. EASTER WEEKEND: The good news, things clear out for the weekend and sunshine returns to the First Coast. A brisk, gusty wind expected Saturday with highs only near 70 degrees. A beautiful, fresh sunrise for Easter Sunday, lows in the 40s warming to near 80 by the afternoon. 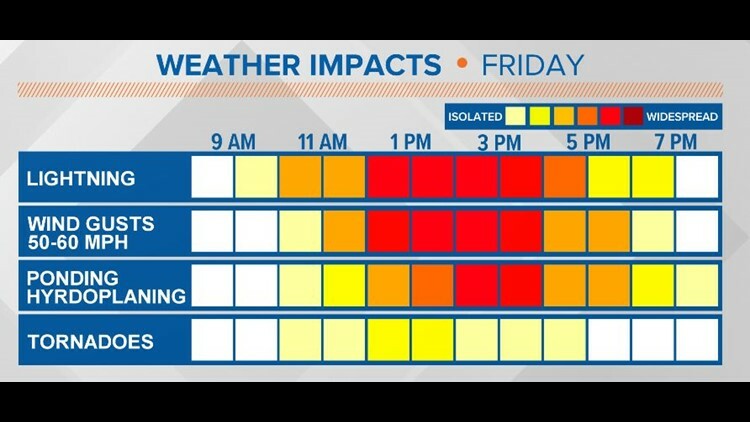 Plenty of sun expected. Stay ahead of the weather: Download the First Coast News app, sign up for weather alerts!